The Noble Eightfold Path is the fourth of the Four Noble Truths in Buddhism. The first three Truths point to the dukkha, or dis-ease that we experience in our lives. This final Truth offers the Noble Eightfold Path, the prescription for ending dukkha. These eight factors of the path are qualities to be cultivated. The path isn’t necessarily linear; we can develop the factors simultaneously. The Noble Eightfold Path is made up of eight factors broken down into three sections: Paññā (wisdom), Sīla (ethics), and Samādhi (concentration). There is a cause to dukkha. There is cessation of dukkha. These Four Truths are not just to be read and understood, but actually worked with as a practice. We work to understand the presence of suffering in our lives, see the causes to our suffering, and the cessation of said suffering. In the Fourth Noble Truth, the Buddha offers a prescription or path for ending the suffering. 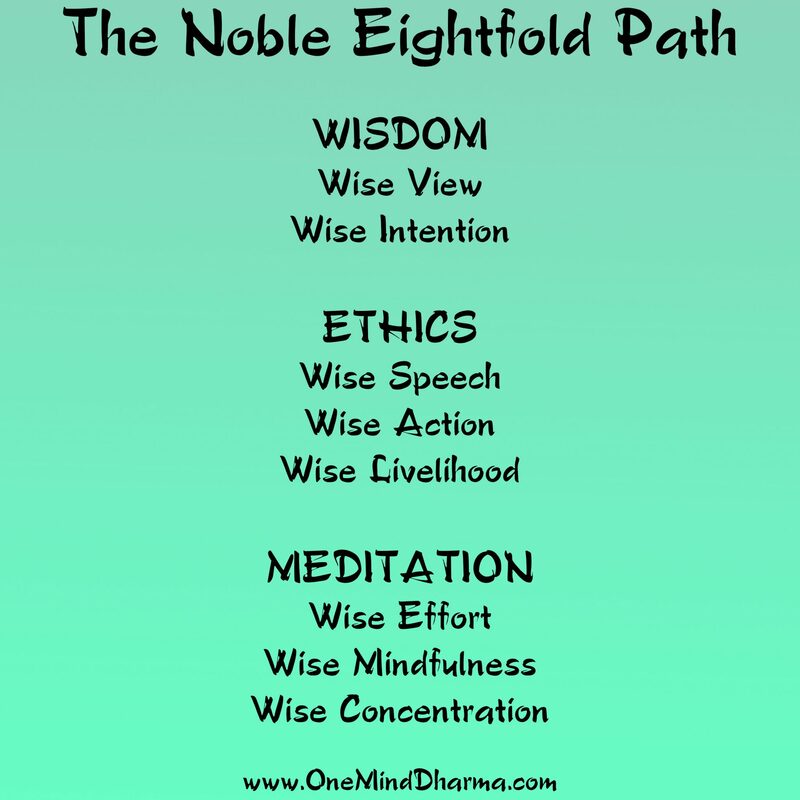 This is the Noble Eightfold Path. Although they are numbered and often listed in order, the factors of the path are not necessarily to be cultivated in a linear fashion. In fact, many of the factors cannot be truly cultivated without other factors, such as mindfulness, concentration, and effort. They are all inter-related, affecting one another deeply. 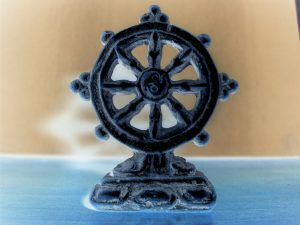 The Buddha pointed toward the Noble Eightfold Path as his instructions toward ending suffering, and it offers a full path of cultivating wisdom and insight. 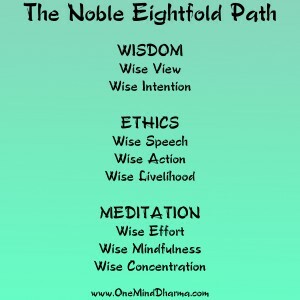 These first two factors of the Noble Eightfold Path are known as the wisdom factors. They are qualities we develop related to understanding and seeing clearly. When acting or meditating, we are to have wisdom about our behavior. This doesn’t necessarily mean that conscious wisdom must come before acting with skill. Sometimes we act our way into wisdom. However, these two factors are a foundation for the other factors o the path, and they can help lead to the development of other factors. The first factor of the Noble Eightfold Path is often translated at Wise View or Wise Understanding. There are many different suttas that mention what Wise View is. Essentially, Wise View is the understanding and knowing of reality. The reason that there are so many different teachings on what this means is that there are many different modalities for understanding reality. The most important way we work with Wise View is through understanding of the Three Marks of Existence. The Three Marks of Existence or the Three Characteristics are three qualities that all conditioned phenomena share in common. These qualities are: impermanence, not-self, and unsatisfactoriness. Wise View means understanding and knowing these characteristics. In understanding impermanence, we see the changing nature of all experience. Even things that seem relatively permanent such as our planet, love, or regret are changing phenomena. Although the planet has been around for quite some time, it doesn’t stay stable; it is always changing slightly. Although we may love somebody dearly, the quality changes. How we loved somebody last year may be different than how we love them today. Maybe we have regretted something for years or decades and it feels permanent. When we look closely, we see that this feeling of regret is not always with us in the same way. The way it manifests changes. The Second Mark of Existence is not-self, which is surrounded by a lot of confusion and misconceptions. The teaching of not-self does not say that you don’t exist. Obviously there is a person sitting reading an article on a screen. The idea of not-self is simply that nothing exists independently of other phenomena, and many things we perceive are actually processes. For example, as you are reading this piece, there is the process of your eyes moving across the screen, seeing symbols, the brain converting the symbols to words, figuring out their meaning, and ultimately understanding the text. This of course happens very quickly and most often unconsciously, but it is easy to see how all of our experience is a process. Similarly, this situation cannot exist by itself. There are an infinite number of causes and conditions for this to be occurring. Your parents met, you have access to the Internet in one way or another, you learned to read, something sparked your interest in Buddhism, and on and on it goes. Understanding this characteristic is simply seeing the interdependence of experience. It doesn’t mean we deny that we are here. This idea is often hard to grasp, and I encourage reading more about not self and working with it in formal insight meditation practice. The Third Mark of Existence is dukkha, or unsatisfactoriness. This is not to say that everything we experience causes pain and suffering. Rather, no one single thing we experience will bring lasting satisfaction. There are wholesome ways in which we grow, but even a moment of strong compassion is not ultimately satisfying. This teaching is often seen as pessimistic, but only because it is misunderstood. We do experience happiness, moments of satisfaction. It is healthy to enjoy these moments (recognizing their impermanence). However, we set the intention to understand the nature of experience, seeing that these experiences don’t keep us happy or satisfied forever. This is because the experience both lacks an inherent self and is impermanent. The second factor of the Noble Eightfold Path is sometimes called Wise Intention and sometimes called Wise Thought. With this factor, we work on developing wholesome intentions. Specifically, we set the intention to carry ourselves in a way that leads to liberation rather than suffering. We may ask ourselves before speaking or acting if we are moving toward freedom or pain. Cultivating Wise View is extremely helpful in building Wise Intention. This is a simple explanation of what Wise Intention is. There are many ways that this intention to free ourselves and others from suffering may manifest. The opportunity to cultivate wise intentions or thoughts is present in every moment we experience. This piece of the Noble Eightfold Path is often brushed over. In the West, many newcomers to Buddhism jump right into meditation practices. However, many traditions in Asia stress the importance of practicing these ethics before beginning meditation practice. Ethics lay the groundwork for a calm mind in meditation. These factors of the path are developed in our daily lives. Wise Speech is the first factor that falls under ethics in the Noble Eightfold Path. Wise Speech is how we speak to others and to ourselves. There are a many guidelines to practicing Wise Speech found in the Buddhist discourses, but a few seem to be most common. Before you speak, you may consider if what you are going to say is: true, beneficial, and timely. Truth is pretty clear. Don’t lie, embellish, or practice any form of dishonesty with your speech. Looking at speech to see if it is beneficial is essentially looking at the possible effect of our speech. We may also check in with our intention. Is the intention for speaking wholesome? Finally, we investigate timeliness. Is this the right time to say this, or is there maybe a better time? Wise Action may seem like a broad category, but it really can be simplified into following the Buddhist Precepts. The Five Precepts for lay practitioners are a set of guidelines to follow related to Wise Action. The Five Precepts, in their simplest form, are to abstain from: taking life (or harming other living beings), taking that which is not freely offered, sexual misconduct, false speech, and ingesting intoxicating substances which lead to heedlessness. These five training rules are a basic outline for Wise Action. Following these precepts leads to healthy conduct. Specifically, these guidelines help us not cause harm to ourselves or those around us. The Five Precepts creates a safe environment for people to live, practice, and engage with each other. Thus, our understanding of Wise Action is that we cultivate behavior that leads to the safety and happiness of all beings. We train ourselves to not cause any harm with our deeds. lesome businesses cause harm to both ourselves and other living beings. In cultivating this factor, we practice caring for other beings with how we make a living. One of the teachings here is to not profit off of the suffering of other sentient beings. The final section of the Noble Eightfold Path is concentration. These are three factors related to formal meditation practice. The previous five factors are developed primarily outside of meditation, while these final three are developed primarily in meditation practice in order to develop a calm mind. Wise Effort is the first of the meditative practices in the Noble Eightfold Path. Traditionally, Wise Effort is explained as putting effort forth in four ways: prevent unwholesome seeds from arising, let go of unwholesome seeds that have already arisen, cultivate wholesome seeds that have not yet arisen, and maintain that which is wholesome which has already arisen within us. In simpler terms, this means we keep unskillful habits and qualities from arising and we let go of them when they do arise. In a similar but opposite way, we help the skillful habits arise and maintain then when they are present. In meditation, this means bringing mindfulness to what is present and knowing its causes, conditions, and consequences. Practicing with the Four Foundations of Mindfulness is helpful with this. We may also practice Wise Effort in our daily lives. We have a limited amount of energy each day. Where do we choose to spend it? Are we putting effort forth in wholesome ways? In practicing Wise Effort, we take a look at how we are spending our energy, specifically if we are using our energy to encourage freedom and not suffering. Wise Mindfulness is the cultivation of wise and skillful mindfulness. This means developing understanding of the Four Establishments of Mindfulness. We establish mindfulness in the body, establish mindfulness in the feeling tone of experience, establish mindfulness in the mental states, and establish mindfulness of the dhammas. These are the four places that we practice mindfulness according to the Buddha’s discourse on establishing mindfulness (Satipatthana Sutta). Cultivating Wise Mindfulness means we understand mindfulness, practice diligently (with Right Effort), and see things clearly. It’s important to understand that mindfulness is not just being present. Mindfulness also has a reflective quality to it. We must recognize what is occurring in our present-time experience, and if it is leading to suffering or liberation. The final of the eight factors is Wise Concentration. 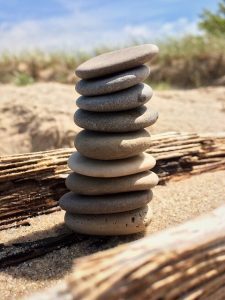 Many people confuse concentration and mindfulness, not realizing the differences between the two. Concentration is the ability of the mind to focus on one object. We cultivate this via concentration meditation, most often by working with the physical sensation of the body breathing. As we build concentration, we are able to focus on one object with the mind wandering less and less. This is important because we use this ability to focus on mindfulness practice, moving our attention from object to object without losing our focus. Wise Concentration is often described as the attainment of the jhanas, which are deep meditative states resulting from dedicated concentration practice. In addition to the formal teachings on the Noble Eightfold Path, there are a few things worth considering. First, these factors don’t necessarily need to be developed in order. In fact, it is almost impossible to develop them perfectly in order. We should work with whichever factor we are able to work with in each moment. Different opportunities arise from second to second, and we must adapt and cultivate what is appropriate for each situation. Furthermore, the eight factors of the Noble Eightfold Path are woven intricately together. They are very interdependent upon each other. When working with one factor of the path, we are almost always working with at least another one simultaneously. For example, cultivating Wise Concentration takes some mindfulness. When the mind wanders during concentration practice, it is mindfulness that helps us know the mind has wandered and remember to bring it back. When we practice Wise Intention, we often find that our speech becomes more helpful and kind. These factors are not always cut-and-dry; at times they are not eight separate factors. Finally, these factors are the Buddha’s explicit instructions on what leads to the cessation of dukkha. That is, these are extremely important teachings in Buddhism. The Noble Eightfold Path is but an outline. We urge you to investigate each factor a little more deeply, both through study and especially by looking at your own experience. Each factor has its own set of practices and various methods of cultivation. Find what works for you to work with this important teaching.